Sick of quilt pictures yet? Is that even possible? I love the way this one turned out and it was fun to photograph (at the park…again!). 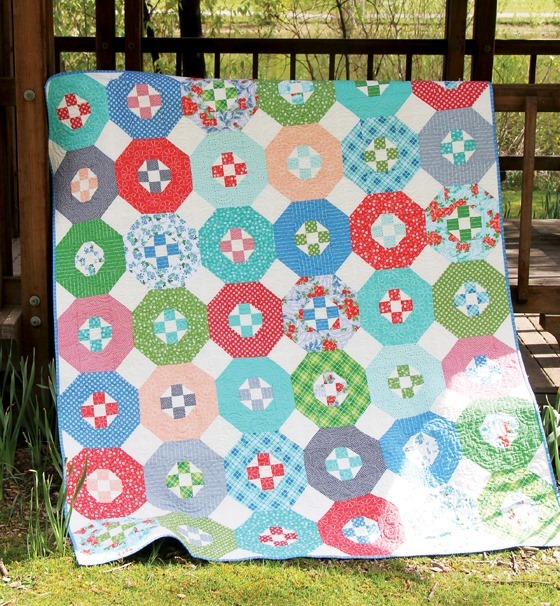 Hideaway is made from fat quarters or yardage, and comes in five sizes. 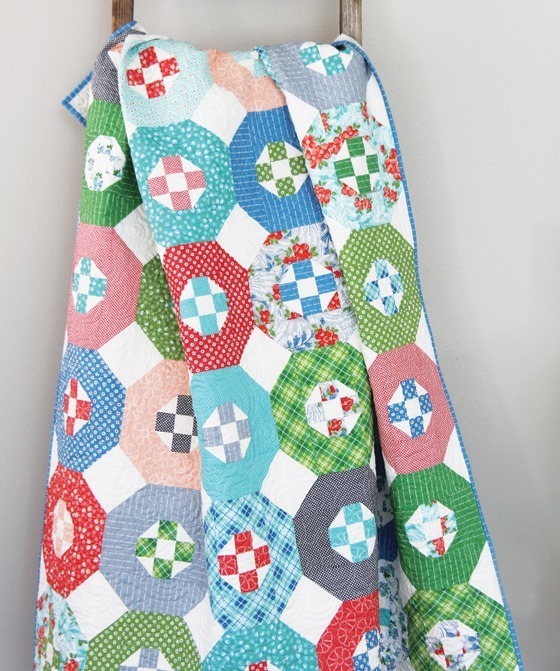 You know I’m not usually a one fabric line kind of girl but I used all but one of the prints in this quilt from Hazel, and they mesh nicely together while still being different enough to make the quilt interesting. Does that make sense? Anyways…I’ll be back next week with more quilt photos and market photos and talk to you soon! This is my second favorite quilt from your new collection. Love it and love your new fabric collection it is made with!! 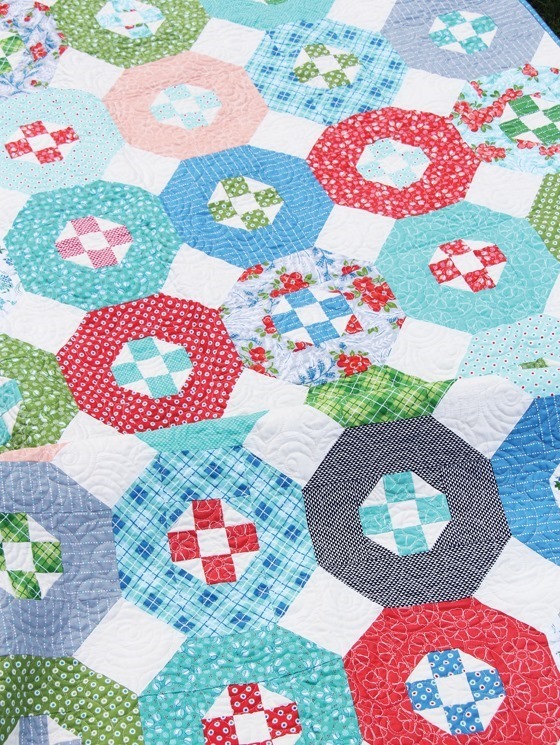 Love all of your new quilts – but especially Promenade! You are very lucky to be so creative and make a living at it! Love your blog and inspiration – thanks for sharing. Enjoy the market although, it must be exhausting! Cute pic of your kids at the park too! 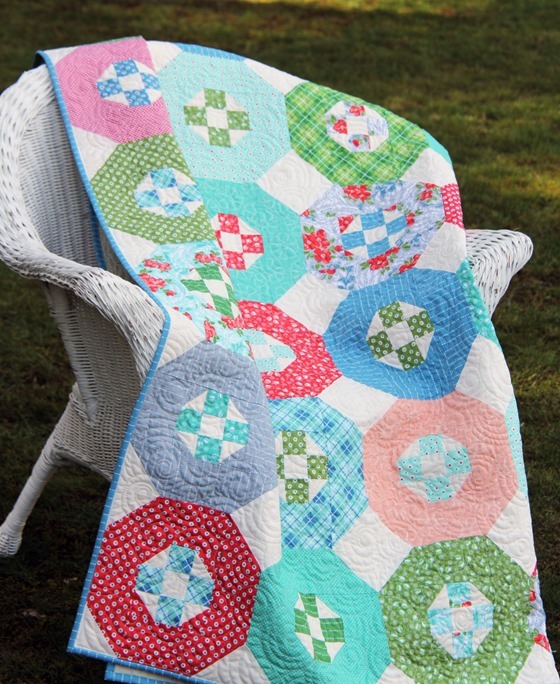 I don't think it's possible to tire of quilt pictures! And another lovely quilt, great job! Have fun at market! Another great pattern! And, I just love Hazel! Can't wait for it's release! OMGosh! I am loving this pattern…and the fabrics! This is the next project on my to-do list. Thanks for feeding my addiction–heehaw! 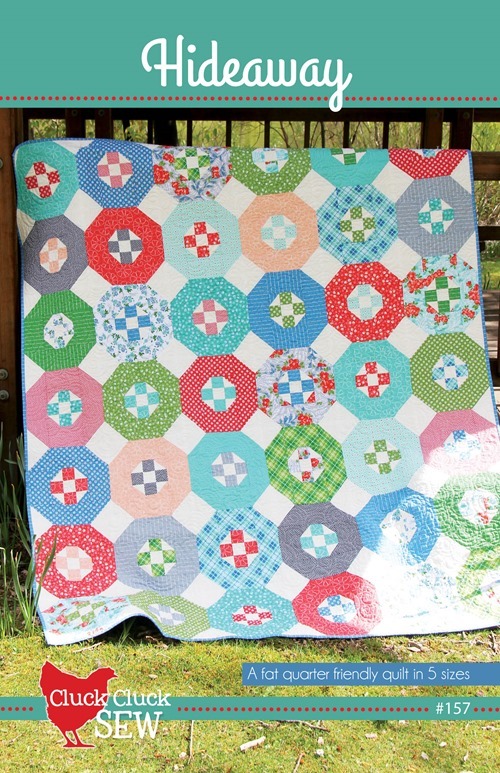 Love this quilt and the Hazel line. I have to get my hands on some. Another great pattern! It's very cheerful and homey. You do not disappoint! I'm anxious to see Hazel at my local quilt shop—I want to use it to make a Sew Together bag. I own so many of your patterns and now I'll have to add all of these new ones! You are so talented! This quilt is beautiful. 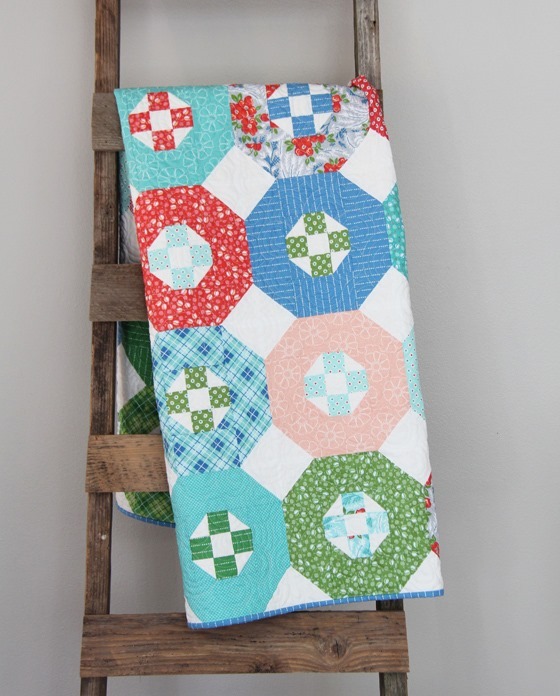 This is a great stash Buster quilt. This is a very unique pattern that will be a family heirloom. It is both traditional and modern at the same time–if that makes sense. It shows off your new fabric collection beautifully. Can't wait until it's available. Thank you for your design genius. Love this one! The fabric is just fabulous too. Love this pattern! and beautiful fabric! Another wonderful pattern- I just love your patterns and I too own so many:) And your new fabric line Hazel is gorgeous!